BUKIT LANJAN: Oil-rich Norway encourages and promotes use of EVs, can Malaysia do the same? When it comes to electric-car adoption, Norway is unique.Electric cars make up a larger share of new-car sales in the Scandinavian country than anywhere, thanks to a very particular combination of factors.On average, most Norwegians drive short distances, meaning the relatively short ranges of the first crop of modern electric cars were never as much of an issue there as in other countries. Norway's government has also aggressively promoted electric cars, building up charging infrastructure and offering incentives and perks, including free public parking and EV access to bus lanes.These factors have made Norway the friendliest place for electric cars in the world, but one official believes other countries may soon catch up. The success of a country is based on its prudent, competent and efficient administration. And, Norway’s government is considered one of the best in the world and it is also grossly dependent on oil and gas. 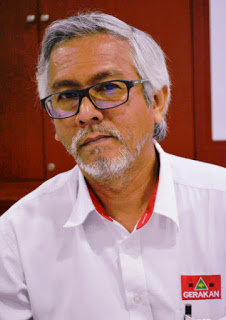 “So, it is rather surprising that despite being oil-dependent for revenue, Norway is now encouraging and promoting the use of electric cars,” Gerakan Deputy Speaker Syed Abdul Razak Alsagoff said. “So, would you be quick to conclude that Norway is sabotaging its own economy?” he asked. Syed Razak said only a wise, prudent and efficient government would be able to proceed with economic policies like Norway. It was reported in January 2014 that Norway’s oil-based sovereign wealth fund (SWF) had ballooned so much due to high oil and gas prices that every Norwegian became a theoretical millionaire. Today, despite the depressing global oil prices, Norway’s SWF has grown even stronger - earning a record US$63 billion (RM265 billion) from investments in the first half of this year. Norway’s SWF was set up in 1990 and by 2014 it owned about 1% of the world’s stocks, as well as bonds and real estate from London to Boston. 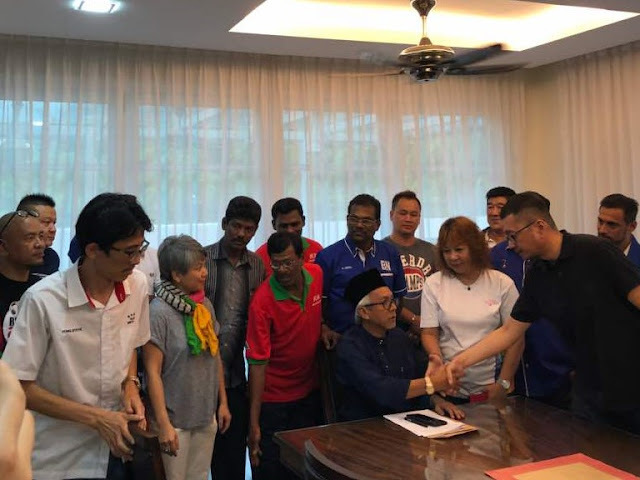 Syed Razak, who is Gerakan’s nominee to contest N.37 Bukit Lanjan in the coming 14th General Election (GE14), said Norway’s success story was primarily due to its prudent and efficient administration to diversify its investments. “Today, Norway is the role-model of competent governance. It has diversified its revenue earners and not be overly dependent on oil and gas. “Diversification of investments and businesses are the key to remaining relevant and successful,” he added. JUDABERG, Norway: The Norwegian island of Finnoey has the highest density of electric cars in the world. The reason? They are exempt from the $6,000-a-year toll charges for the tunnel to the mainland. There has been a surge in sales of fully electric cars like Teslas <TSLA.O> and Nissan <7201.T> Leafs since the tunnel opened in 2009 and they now account for one in five cars on Finnoey, compared with less than 1 in 100 globally. Twenty-nine percent of all new car registrations in Norway were fully electric or plug-in hybrids last year, according to the International Energy Agency, far ahead of the Netherlands in second on 6.4 percent and Sweden in third on 3.4. China had almost 1.5 percent and the United States less than one. State subsidies support sales of electric cars around the world, and Norway has the most electric cars per capita thanks to the most generous handouts. It offers nationwide tax breaks for users of electric cars than can be worth tens of thousands of dollars, plus various local incentives like exemptions from road tolls and parking fees. "Economic incentives work, especially if they are very, very, very strong as in Finnoey," said former Norwegian central bank governor Svein Gjedrem, who grew up on the western island chain of 3,250 people which is famous for its fish farms and tomatoes. A reliance on state handouts complicates efforts in nations like Britain and France to phase out combustion engines in favor of battery-powered vehicles, which are far costlier, have limited ranges and often have long charging times. It means the technology will have to become significantly cheaper if those governments are to meet pledges to ban sales of petrol and diesel cars from 2040 without having to hand out crippling levels of subsidies to millions of buyers. A tale of two contrasting Norwegian municipalities - Finnoey and neighboring Hjelmeland on the mainland - starkly illustrates the power of financial incentives on consumer behavior. A Finnoey resident driving to work in nearby oil hub Stavanger with an electric car can save 40,000-50,000 crowns ($5,500-$6,500) a year in tunnel tolls compared with drivers of fossil-fueled cars. Hjelmeland, by contrast, bucks the Norwegian trend by offering no local perks at all for battery-powered cars. 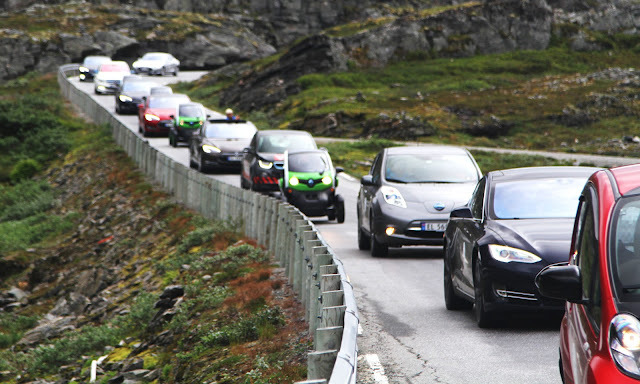 Almost one in 10 people on Finnoey have electrics cars, compared with fewer than one in 100 in Hjelmeland, which is much bigger and has a similar population, according to a previously unpublished ranking of all regions from state-run Statistics Norway that was provided to Reuters. "It's all about the economics, not about ideology," Wictor Juul, head of administration for the Hjelmeland municipality, said of the contrasting ownership rates. Norway is among the world's richest countries because of its oil and gas exports - yet even there electric car incentives are being curbed because of the strain on public finances and a faster-than-expected adoption of battery-powered cars. For example, it has just scrapped nationwide directives that parking, transport by state-owned ferries and road tolls should be free for electric vehicles, instead leaving it to local authorities' discretion. It is also reviewing tax breaks for the most expensive luxury electric cars. So far the reversals have had no apparent impact on sales. "I'm not too worried," said Christina Bu, head of the Norwegian Electric Vehicle Association, because other benefits such as an exemption from value-added tax are staying in place. There are, however, examples elsewhere in the world of the consequences of withdrawing electric car benefits. Sales of Nissan Leafs in the U.S. state of Georgia, for instance, plunged after authorities revoked a $5,000 tax break in 2015. 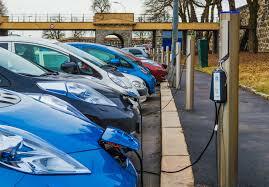 Electric car imports to Denmark fell sharply last year, bucking a European trend, after Copenhagen cut subsidies. Sales of Teslas fell to 176 from 2,738 the year before. In Norway, a Tesla Model S electric sedan costs 636,000 crowns pre-tax, almost double the 320,000 crowns pre-tax cost of an Audi A7 gasoline car, the Norwegian Electric Vehicle Association says. But the Audi ends up costing more when sold - 697,000 crowns - after an array of taxes led by sales tax (140,000 crowns), carbon dioxide tax (125,000 crowns) and a special tax on the weight of the vehicle (110,000 crowns). By contrast, a Tesla buyer is charged only a small fee for end-of-life scrapping and pays 638,000 crowns in total. It's little wonder that Tesla CEO Elon Musk tweeted in June: "I love Norway, which is the world leader in EV (electric vehicle) adoption!" 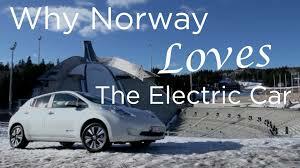 His company has invested heavily in Norway, for instance with fast charger networks. The Norwegian finance ministry says basic tax breaks totaled about a cumulative 12 billion crowns by the end of 2016. There are now about 140,000 fully electric cars on the road. Britain and France, the only two countries to announce deadlines for phasing out combustion engines, also offer generous subsidies to electric car buyers. Buyers in Britain get a grant of up to 35 percent of the purchase price, while in France someone selling a diesel car and buying electric receives thousands of euros in benefits. Norway's Environment Minister Vidar Helgesen, part of a minority right-wing government that won re-election on Sept. 11, acknowledged that the country's subsidies model was expensive. But he predicted advances in the technology would mean electric cars would be competitive in price with combustion engine cars in the early 2020s. 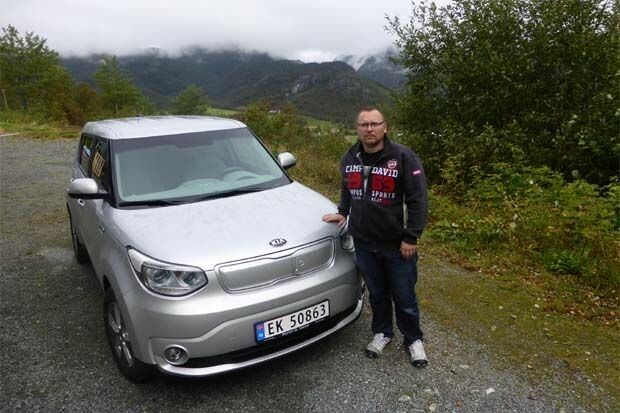 His sentiments are echoed in Finnoey by Mayor Henrik Halleland who thinks battery-powered car sales could ultimately survive without large financial incentives. The island's tunnel toll charges for combustion engines go toward paying the 550 million crown cost of building the tunnel. Once the debt is paid, the tunnel will be free for all. "Electric cars are getting so good that people will buy them anyway," said Halleland. Still, he now wants electric car owners to pay 50 percent of the rate paid by diesel and gasoline cars. And he's not planning to buy electric himself, saying he has to keep his combustion engine Mazda to pay the tolls and do his bit to pay off the tunnel. Electric car owners are unapologetic though. "It's all about political choices," said Arne Nordboe, a teacher and part-time stand-up comedian who drives a Nissan Leaf. "I think it would be reasonable when electric cars get cheaper and cheaper and more useful, then I can pay more." – Reuters"
BUKIT LANJAN: United we stand, divided we fall! BUKIT LANJAN: Even Toyota admits it lags in EVs!